__Gerald Golub has been an attorney for over forty years. Practicing the law of bankruptcy and divorce, Mr. Golub provides excellent services for reasonable fees in the Stark County area. He also provides services for wills, estates, and social security disability. 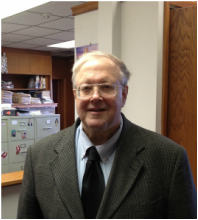 Mr. Golub received his undergraduate degree in communications from The Ohio State University in 1970 and his law degree from the University of Cincinnati in 1973. He is married with four children, all of whom graduated from Canton City Schools. _Please Note: We are a debt relief agency. We help people file for relief under the Bankruptcy Code.